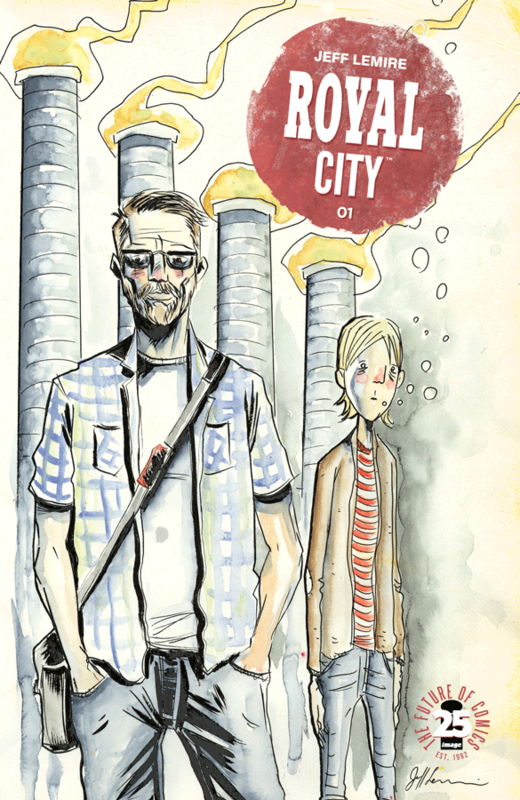 Jeff Lemire has always been a writer and artist that never truly conforms to one style. Whether it’s writing superheroes for Marvel, collaborating on science fiction stories at Image or telling personal, human stories. Lemire can craft a tale that will explore the depths of a persons soul, even if that person happens to be a robot. Royal City, announced in the summer of 2016, is Lemire’s return to telling stories about real people, grounded stories. 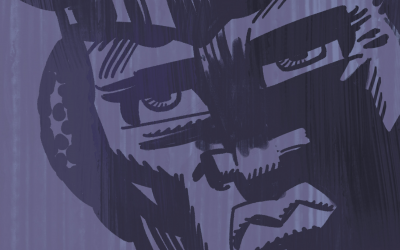 Some might call them “Slice of Life” stories, but not Lemire, he actually hates using that term. As he likes to put it, these stories aren’t boring, they stories about people and the lives they live. For Royal City it’s about the Pike family and how they’ve lived their lives with the death of a family member always surrounding them. It’s how they cope with their lives, and how they cope with the death of their son, their brother, their friend. It explores the human condition, but more importantly it just tells a good story. Royal City, is a multigenerational family saga set in a once-thriving factory town of the same name. We’re introduced to the Pike family, mother Patti, father Peter and the three surviving children, Pat, Tara and Rich. We also get to see Tommy, the brother that died at age 14, but to each person he’s in a different stage of life. For Tara he’s still a little boy, for Pat he’s in his early teens, Patti sees her son as a grown man and a priest while he’s just a memory for Peter. Then there’s Rich, the black sheep of the family, for him Tommy is a grown man that’s looking for a good time, he’s become an enabler to Rich. While some in the family have become successful, like Tara and her real estate development, it’s clear that others like Rich have fallen far from the tree. The one character that seems to tie it all together though is Pat, the one that left Royal City to pursue the big city dream. Now he’s returned home when a family emergency occurs, just what will he find when he gets home is anyones guess, but you can be sure it has something to do with Tommy. 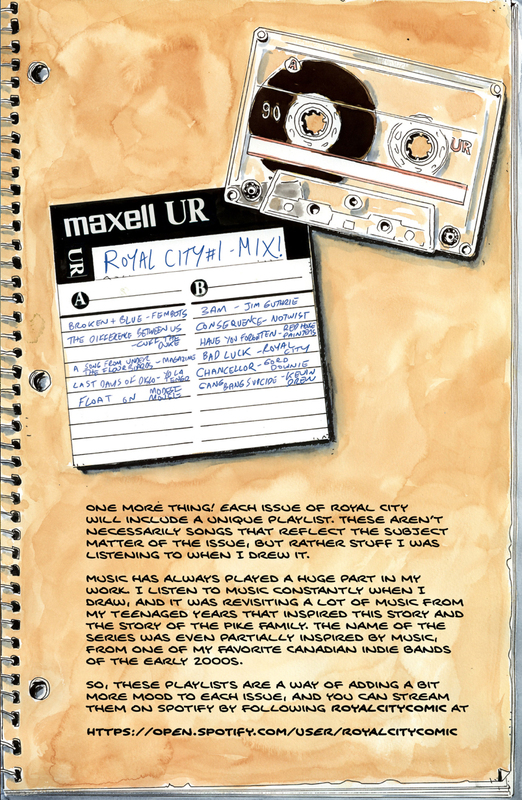 Lemire even included a song list to accompany the book, you can stream it at Spotify. Lemire has stated that he wanted to go back to his roots, back to the time that he created Essex County, to get back that feeling. If that was his intention, he absolutely nailed it. Lemire writes and draws this issue with an attention to detail that makes it obvious he’s been working on the concept for the year and a half he’s mentioned. It’s clear that there’s a well thought out story going on, one that dives deep into the lives of the characters, one that has clearly fleshed out who the characters are. While it may only be a first issue, Lemire is able to give each character their own identity yet still have them fit into a larger puzzle. The characters are thoroughly fleshed out with each one having a unique voice, there’s no confusion as to who is who and what’s going on. Although you might find yourself wondering just what’s going on with Tommy, but that’s clearly part of the mystery. The art is distinctly Lemire, and for some people that might be a turn off, but one could argue that it enhances the story. It really brings it to life. The layouts are well composed and detailed. 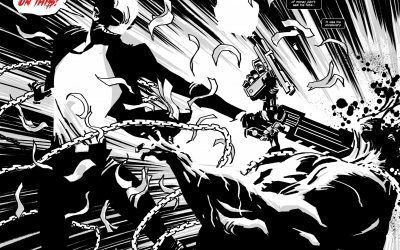 A few double page layouts help convey the supernatural element of the book which helps remind the reader that there’s more to the story than just some family drama. Lemire has really gone into great detail with this book and given life to the various characters. From the bags and red under eyes to the lines in the faces. 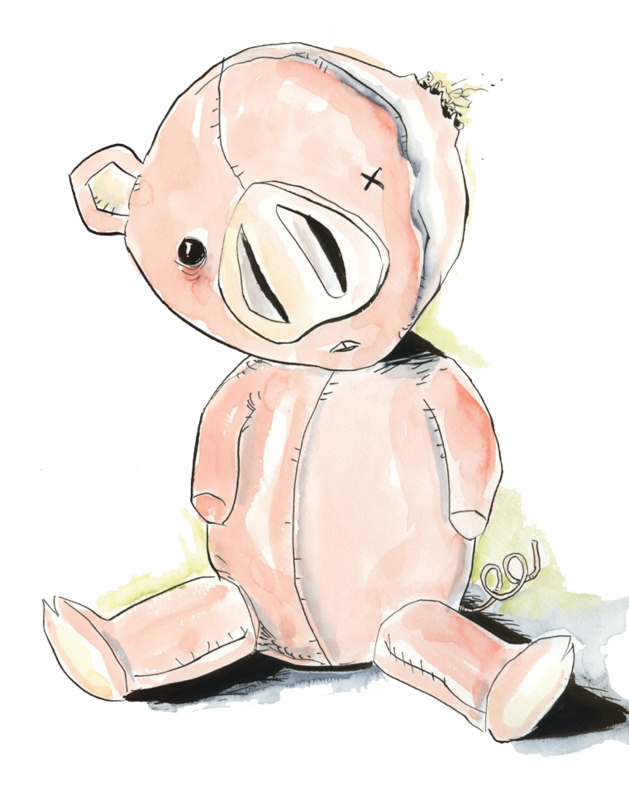 It breathes a sense of life, albeit a weary one, for many of the characters. It brings them to life and makes you empathize with them. 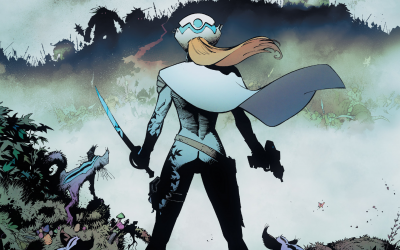 This is clearly some of the best artwork Lemire has done and you can tell the passion he’s poured into it. 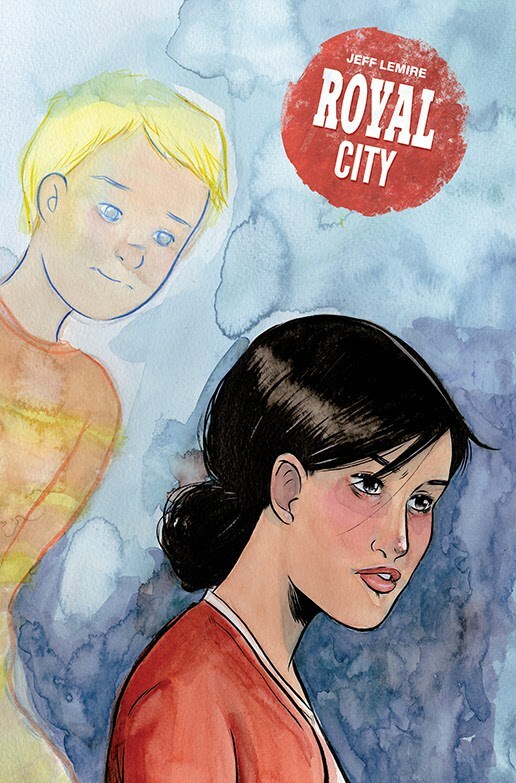 Lemire has gone on record saying that he has a two-season plan for Royal City, about 20 issues of the comic, that will tell one decisive story about the Pike family. It’s nice to see it planned out that far ahead, best of all it’s nice to see that we’ll be getting at least 20 issues. To be blunt, absolutely. While it’s an oversized first issue, Lemire is able to cram in just enough to whet your appetite. The supernatural element to it can get a little confusing in the beginning, but it’s clear that it will play an important part in the story and it becomes more clear as the issue goes on as to why it’s used the way it is. Royal City is one of Lemire’s finest works in a long time, and that’s saying something because his work is exemplary in general. If you’re a fan of Lemire’s work on Essex County then this is definitely up your alley. Fans of Lemire’s other work, especially ones where he handles the art and writing chores, will love this as well because it’s some of his finest work to date. At the end of the day, Royal City is a good story that deserves its accolades.